Vehicle graphics and vehicle lettering are the least expensive way to gain visibility for your business. Turn your company vehicles into mobile billboards with vehicle graphics. Promote your business by applying your logo, contact information, and anything else you'd like people to know. Vehicle graphics from Salt City Signs are made to catch the eye and provide an image of your business in a matter of seconds. Salt City Signs provides installation for vehicle lettering and graphics, too! Our experienced design team can convert your idea to attractive and attention getting graphics for your vehicles. Get car graphics, truck graphics, and trailer graphics that are delivered on time and to meet your budget. A car wrap will serve as a 24-hour ad that will be seen wherever your employees are. Even if your vehicles are parked in a lot overnight, they can tell potential customers who you are and what you do. Salt City Signs can design and install a custom car wrap for your business. With a car wrap from Salt City Signs, you can increase brand awareness and generate business growth. Wherever your company vehicles go with a car wrap installed, potential customers will know your name, and can even get contact information to drive more leads to your business. We can install a custom car wrap on almost any type of car. With vehicle wraps from Salt City Signs, people will know your business. A car wrap will help to keep your company at the top of peoples' minds when they're in need of the products or services you offer. For contractors and organizations of all kinds, Salt City Signs is the relied upon provider for truck wraps near Syracuse, NY and the surrounding areas. 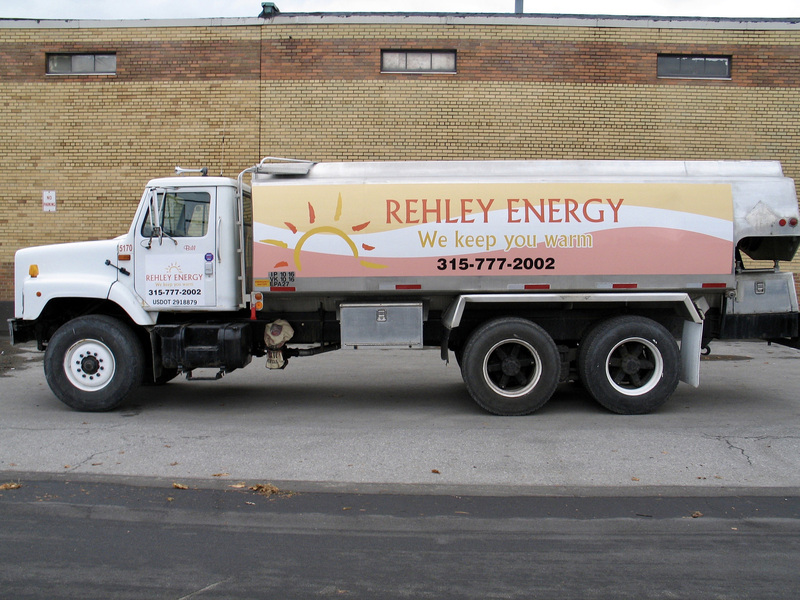 Whether you need truck wraps that completely change the exterior aesthetic of your truck, or truck wraps that simply display your company name, slogan and/or contact information, Salt City Signs can create and install truck wraps that meet your exact needs. If you need truck wraps for your fleet vehicles, Salt City Signs can fit all of your organizations trucks or vehicles with the exact design you want. Whether you want truck wraps for your entire fleet of vehicles, just a few vehicles or a single truck wrap, Salt City Signs can transform your truck with the look you want. Salt City Signs specializes in all types of vehicle wraps near Syracuse, NY and the surrounding areas.